Welcome to the Home for Wayward and Misbegotten Creatures, an institution run by evil Miss Carbunkle, a cunning villainess who believes her terrified young charges exist only to serve and suffer. Part animal and part human, the groundlings toil in classroom and factory, forbidden to enjoy anything regular children have, most particularly singing and music. For the Wonderling, an innocent-hearted, one-eared, fox-like eleven-year-old with only a number rather than a proper name -- a 13 etched on a medallion around his neck -- it is the only home he has ever known. But unexpected courage leads him to acquire the loyalty of a young bird groundling named Trinket, who gives the Home's loneliest inhabitant two incredible gifts: a real name -- Arthur, like the good king in the old stories -- and a best friend. Using Trinket's ingenious invention, the pair escape over the wall and embark on an adventure that will take them out into the wider world and ultimately down the path of sweet Arthur's true destiny. 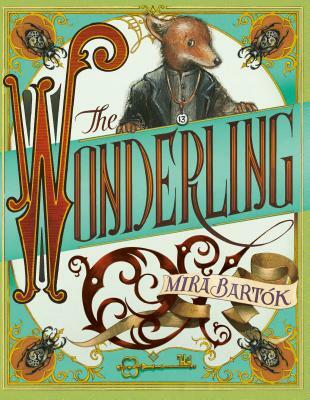 Richly imagined, with shimmering language, steampunk motifs, and gripping, magical plot twists, this high adventure fantasy is the debut novel of award-winning memoirist Mira Bartok and has already been put into development for a major motion picture. Mira Bartok is a writer and artist whose New York Times best-selling memoir, The Memory Palace A Memoir, won the National Book Critics Circle Award for Autobiography. The Wonderling is her first novel for young readers. She lives in Western Massachusetts.